Step off the beaten path and head to La Roche de Solutre and Col du Beal. Get some historical perspective at Cite medievale de Perouges and Chateau de Chasselas. Get out of town with these interesting Lyon side-trips: Chateau de la Greffiere (in La Roche-Vineuse), Saint-Claude (Cascade de la queue de cheval & La cluse du Flumen et ses cascades) and Cascade du Saut du Chien (in Septmoncel). Spend the 29th (Tue) among the fascinating landscape of Parc Naturel Regional des Volcans d'Auvergne. 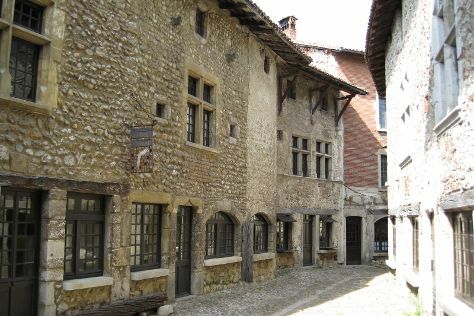 Next up on the itinerary: tour the pleasant surroundings at Les Pertes de le Valserine, see the interesting displays at Musee Miniature et Cinema, get to know the fascinating history of Vieux Lyon, and Head underground at Grotte de Choranche. To find other places to visit, traveler tips, where to stay, and tourist information, use the Lyon trip planner . Toronto, Canada to Lyon is an approximately 16-hour flight. The time zone changes from Eastern Standard Time (EST) to Central European Time (CET), which is usually a 6 hour difference. In May, daily temperatures in Lyon can reach 24°C, while at night they dip to 13°C. Wrap up your sightseeing on the 5th (Tue) early enough to take a train to Paris. Your cultural itinerary includes sights like Champagne Tarlant and Chateau de Fontainebleau. 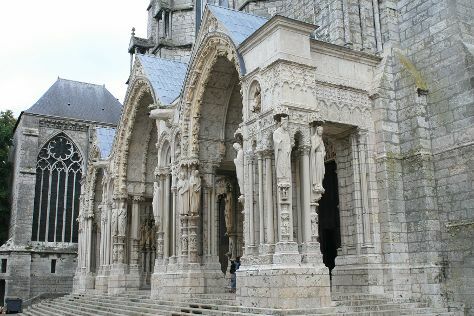 Visit Chartres Cathedral and Saint Germain des Pres Quarter for their historical value. Explore the numerous day-trip ideas around Paris: Champagne Chateau de Boursault (in Epernay) and CHAMPAGNE Roger-Constant LEMAIRE (in Villers-sous-Chatillon). Next up on the itinerary: head off the coast to Île de la Cité, get a taste of the local shopping with Le Marais, wander the streets of Left Bank (Rive Gauche), and explore the world behind art at Cluny Museum - National Museum of Medieval Art. To find photos, maps, ratings, and tourist information, read our Paris road trip planning tool . You can take a train from Lyon to Paris in 2 hours. Other options are to fly; or drive. Traveling from Lyon in June, expect Paris to be little chillier, temps between 26°C and 15°C. Wrap up your sightseeing on the 10th (Sun) early enough to travel back home.